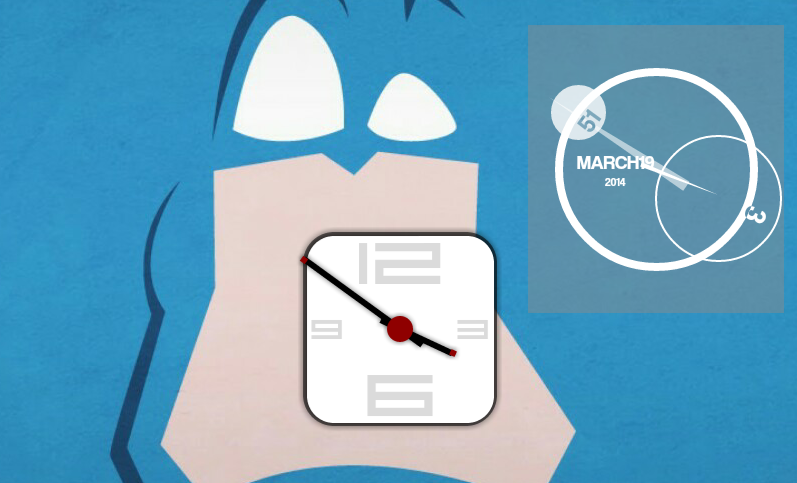 Zooper Widget is one of the most powerful customizable widgets available on the market. You may have noticed that I am a huge fan of it and have already given an intro and quick how-to on this site. Well, I've gone ahead and created a lengthy hands-on how-to article to help you build your own custom clock widget using one of Zooper Widgets built-in templates. Head on over to my post on Android Authority to see all the details. My takeaway from the tutorial is that many of you are already familiar with Zooper Widget and have either embraced it with some amazing designs and artwork, or you have not had the time to learn how to use it. A great example of some great usage of Zooper Widget can be found over on Google+, user Andrew Gallagher has some awesome work to look through. Great news for those that haven't had the time to learn Zooper Widget, I have a huge 'build your own widget from scratch' article coming soon that will show you how to use each and every element within Zooper Widget. I'll walk through building a full widget that looks decent enough to get you by, but more importantly, I'll provide the info needed to get you creating your own. In addition to all this plain and simple design stuff, I am beginning a tutorial to teach you how to use the Advanced options within Zooper Widget. This includes integration with Tasker. In the end, you'll be building your own fully functional widgets to control system settings like sound and display brightness and beyond. You may even be brave enough to build your own SMS app. If you are still reading this, please check out my article on Android Authority. It is pretty simple, if you do not read it and leave a comment, my editor may pull the plug on this project, leaving you to your own devices to learn how to use Zooper Widget, Tasker, launchers, icon packs, KeepScreen, ScreenFilter, Locale, NFC tags and apps and so much more. Post your custom widgets in the comments below, would love to see what you guys are up to.